Highest rated capacity permanent lift magnet on the market. EPL Series permanent lift magnets can lift and transfer steel and iron without slings, hooks, or cables. Make quick work of difficult time consuming steel handling. Highest rated capacity permanent lift magnet on the market. Handle flat materials with ease. Four models with capacities up to 7,500 lbs. on flat material. 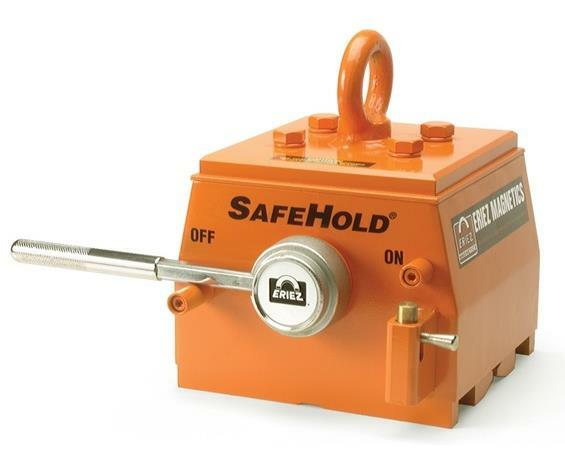 Easy to rotate handle with no backlash. Manual ON and OFF. No power supply required. FOB Shipping Point. Surface Condition: Magnet face and load surface must be clean and smooth. Capacity ratings listed are on flat, clean and polished steel plate with magnet face in full contact with the load surface. Paint, coatings, scale or other materials between the load surface and the magnet will adversely affect the holding power of the magnet. Material Thickness: Lifting capacity is lower on thinner materials. Contact dealer for more capacity information. Material Composition: Magnet capacity is based on lifting low carbon steel. Other materials may reduce lifting capacity. Load Size and Position: Thin sheets, rough and irregular surfaces, odd shapes and scale all affect holding power adversely and must be considered in establishing a safety factor. The magnet must be positioned on the load center of gravity. Tilted or unbalanced loads significantly affect the holding power of the magnet. 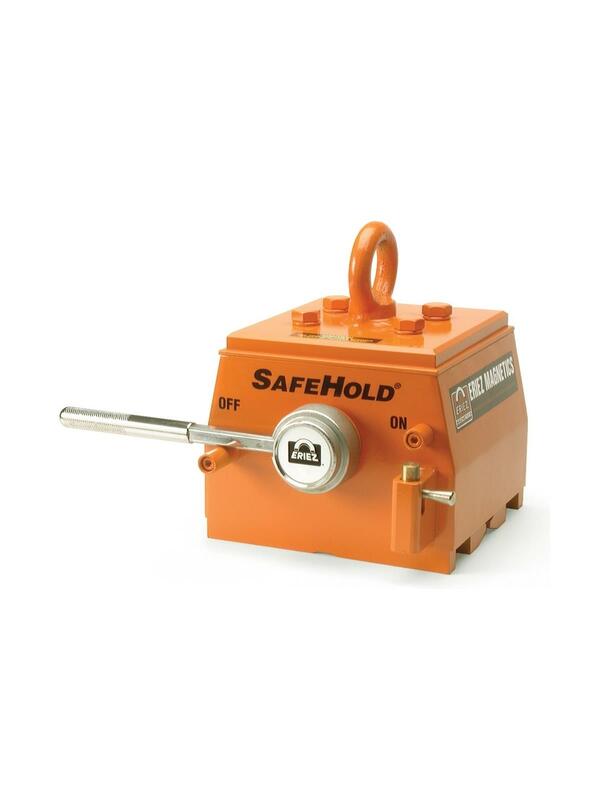 Capacity: Maximum attractive force is approximately twice the rated lifting capacity. Capacity ratings listed are on flat, clean and polished steel plate with magnet face in full contact with the load surface. The above factors should be taken into account when determining appropriate safety factors for a given load. A minimum of 3 to 1 safety factor must be applied based on the actual breakaway force for a given load. Refer to ASME Standard B30.20 for inspection and operating procedures of Close Proximity Operated Lifing Magnets and read Manufacturer's Operating Manual before using magnet.